Lawyers are particularly susceptible to being slaves to the voice in our heads. We are planners, doers, and worriers. In law school we are taught to plan for the worst case scenario. Eventually we come to regard our constant state of anxiety and never ending to do list as a professional necessity and ally. Yet studies show that around 70% of our mental chatter is compromised of negative, repetitive, and useless thoughts that only exacerbate our unhappiness. It is generally agreed that “mindfulness” is the antidote to this type of self-perpetuating negative mental chatter. Like healthy eating and regular exercise, mindfulness has become one of those things everyone knows they should be doing but don’t. We all know we need to be more mindful. Wherever you look, whether it be in popular magazines or professional and health publications, you will find articles talking about how mindfulness is a panacea to all that ails you. Depressed, anxious, stressed, unhappy….overweight? Mindfulness has you covered. Over the last decade we have seen an overwhelming proliferation of articles, courses, and books telling us how to live more fulfilling and healthy lives through mindful eating, mindful relationships, and mindful parenting. The downside of this sudden popularity is that while everyone is talking about mindfulness, few people are actually doing it, and those who are thinking about giving it a try are overwhelmed by the diversity of information. 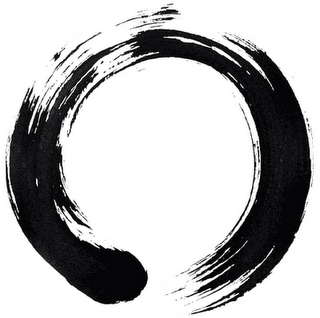 Mindfulness has become so ubiquitous that the word has ceased to have meaning. We all know the Human Resources officer who went to a seminar about the benefits of mindfulness and is now pushing it in the workplace. Many of us have sat through Continuing Legal Education programs that talk about the benefits of being mindful Judges and mindful lawyers. But who really knows what that means? A few people may be able to give the basic definition, which according to Merriam-Webster is “inclined to be aware.” Mindfulness is just being more aware, right? Yes and no. The act of being mindful is being more aware and present in the here and now. But mindfulness is as to being more aware as running a marathon is to running. We are all capable of being aware, just as most of us can run at least a few steps. But just as you cannot run a marathon without training, you cannot be mindful on an ongoing basis without regularly and actively cultivating awareness and presence. Another challenging aspect of mindfulness is that words are insufficient to describe what is going on. Words and concepts are fingers pointing at the moon, but not the moon itself. Therefore, I ask the reader to perform a simple exercise that will allow us to voyage to the moon and experience awareness. Begin by sitting quietly in a comfortable chair. Then close your eyes and move your awareness to your breath. Now simply sit, watch, and wait for a thought to arise. Keeping your awareness gently on your breath, see how long it takes for a thought to bubble up into your awareness. A few of you will be able to sit for minutes in internal silence with your awareness gently resting on your breath, but most may only experience a few seconds of silent awareness before the mental chatter resumes. Whatever the results, don’t feel bad. If you were able to identify even a few seconds of silent awareness before a thought arose you succeeded at the exercise! That is because the purpose of this exercise was to simply experience awareness, and recognize there is an aspect of your consciousness that is separate from your mental chatter. You are not merely your thoughts. There is an aspect of your consciousness that is simply witnessing your thoughts as they arise. The purpose of all contemplative practices and the end state of mindfulness is the process of turning down the volume of your mental chatter and increasing the amount of witnessing awareness you experience in your daily life. In time the mental chatter may go away entirely, allowing you to spend most of your waking hours in a state of peaceful witnessing, thinking only when you wish to think and only about those things you wish to think about. But even if you never achieve this level of Zen mastery, you will experience the benefits of mindfulness when you actively cultivate awareness and presence through a daily contemplative practice. Over time you will become more peaceful and less reactive. Where once a certain person or situation may have triggered a series of thoughts and behaviors that sent you spiraling into fear, anger, or anxiety, you will have a measure of spaciousness and objectivity around those feeling that allows you to behave more deliberately. The purpose of this article was to introduce you to mindfulness and its benefits. In my next article I will discuss how to establish a daily contemplative practice in order to become a mindful rather than mindless lawyer. Until then, when you find yourself slipping into a mindless or reactive mode of thinking: stop, move your awareness to your breath, then watch and wait for a thought to arise.